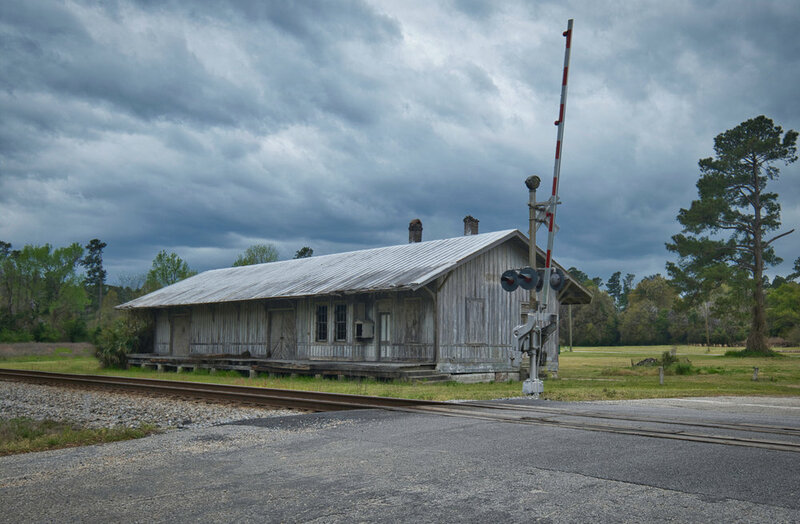 This is the passenger and freight station that served the farming community of Saltier, SC. No trains stop here any longer. The town has a very few buildings and most of them seemed unoccupied. The highway bypasses the town by a few hundred feet but there isn’t even a sign for Saltier at the lone road off the highway. A non-entity today. The old store in photo two was where I was standing when I shot the station photo. Both were shot with the Fuji X-T3 & processed in Luminar 3 and the station photo has had four signs and a fire hydrant removed.